This theatrical cabinet takes the form of a stage set. 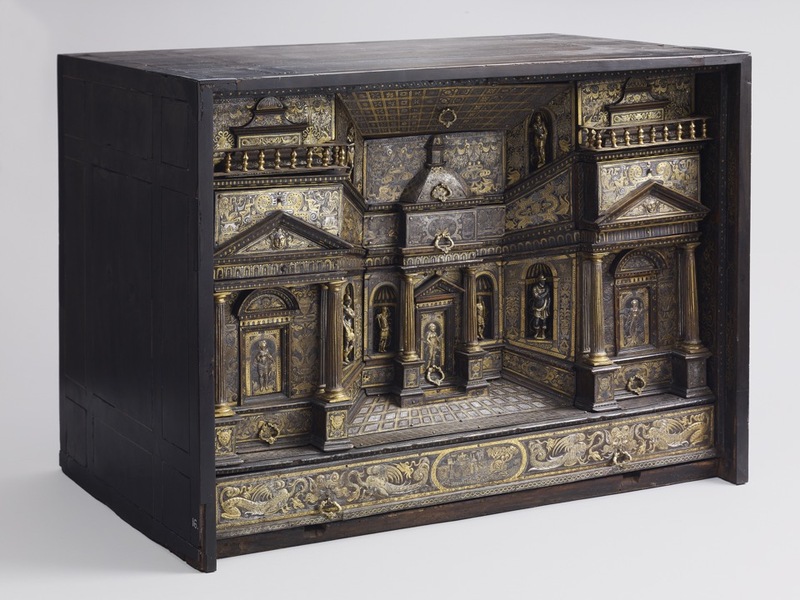 Set within its architecture are drawers and miniature statues. Damascening was a speciality of Milanese armourers. Cabinets like this were important display pieces for collectors in Paris and London around 1850–1900. This one was a focal point in the New Smoking Room at Waddesdon Manor. O.M. Dalton, 'The Waddesdon Bequest', 2nd edn (rev), British Museum, London, 1927, no.16.